Due to challenges posed by local authorities, the event was recently moved back to 24th to 26th April in Toronto. The Canadian Combat Alliance has carried out incredible work to enable the event to go ahead. The “Pan American AMMA Championships” will follow a tournament format and the event includes open contests for Amateur Mixed Martial Arts, youth and adult submission grappling, adult Brazilian jiu jitsu and karate. In addition, fans can enjoy traditional Muay Thai and kickboxing matches featured at the event. 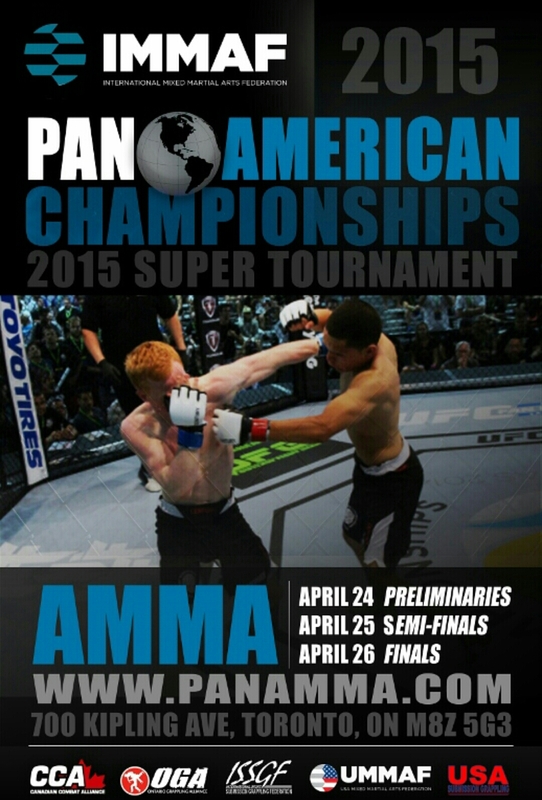 The Amateur MMA competition spans a three day period and is open to attendance from Pan American Nations. Amateur MMA competitors eliminated in the preliminaries on 24th April may participate in the BJJ or Muay Thai Championships on Saturday 25th April; and Amateur MMA Competitors eliminated on 24th April or 25th April may participate in the ISSGF Submission Grappling or Kickboxing Championships on 26th April. Finals for the IMMAF Pan American Championships of Amateur MMA will take place on Sunday evening (26th April) in the form of a carded show. The contests are open invitationals, so that non-member countries from the American continents are welcomed to discover IMMAF and its worldwide Amateur MMA movement. Individual athletes from the American continent are also warmly invited to apply. The event launches IMMAF’s wider global program of Amateur MMA competitions. The Americas have been pivotal in the evolution of the sport of MMA. The region is also renowned for producing high calibre talent, which will make this first annual tournament particularly compelling ahead of the 2015 IMMAF World Championships in July. The IMMAF Pan Americans will also see the piloting of the www.splitdraw.com tournament management system that will be used for the 2015 IMMAF World Championships at UFC® International Fight Week in Las Vegas in July.